After a day in the house feeling a little sluggish and in need of some air and some people. 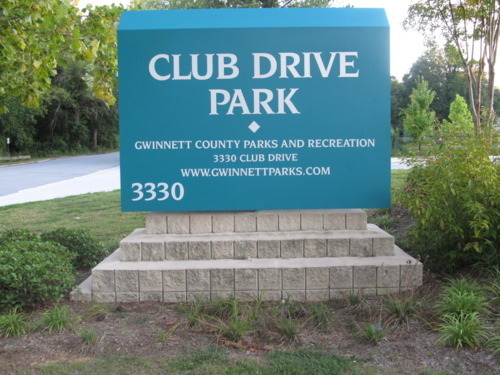 I headed out to a place I’d passed several times before, Club Drive Park. Situated on Club Drive in Lawrenceville GA the park features all of the usual park type stuff only on a smaller scale than others I’ve visited and run in Gwinnett County. Notably absent at Club Drive are tennis courts, and a baseball/softball diamond. 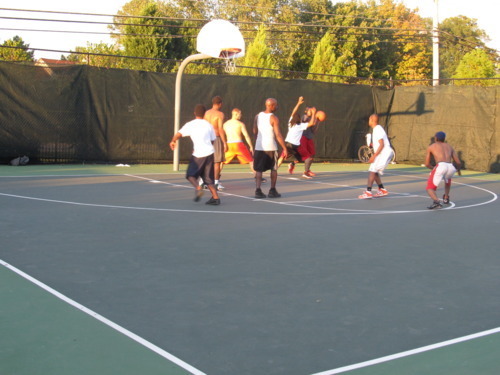 Additionally there is only one basketball court which is divided into two half courts with benches in between for dudes “who got next” and spectators. 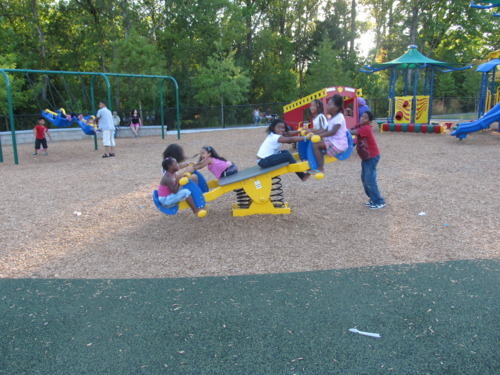 The children’s playground is really one of the highlights of the park, as it is LARGE. Even in this late summer evening heat, it was packed with children and parents enjoying themselves. Another highlight is the lake. Which features wooden walkways and covered and uncovered seating to enjoy the sites and sounds of the park or anything else you might want to do. Now for what I go to each of these parks for, the trail. The trail is paved, flat and fast, however it is SHORT .3 miles. I would only recommend runners come here during off-peak times (late morning, mid-day) and when it is not swelteringly hot outside. 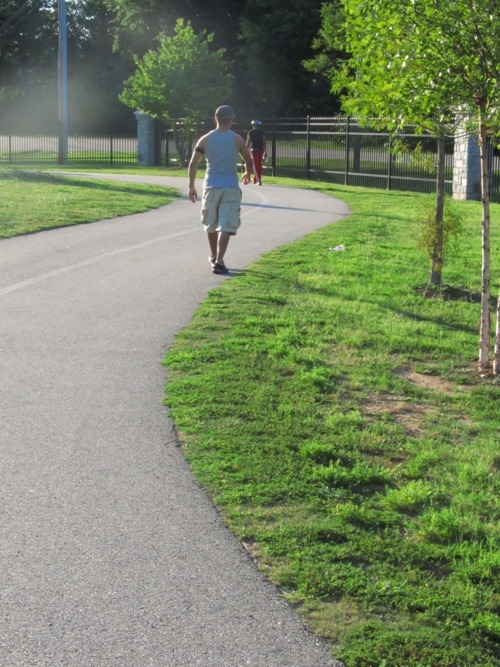 This is great place to do speed work (I don’t do it anymore) but if you do, it’s perfect. Long runs are not recommended, you’ll simply have to run around too many times to get any miles in. There’s really no park that I don’t like and Club Drive Park isn’t bucking that trend. For families, for folks who want to chill and read or watch the ducks and geese and for speed freaks, Club Drive is the place to be. If you’re in the area, check it out. Until next time, see you on the trail.